This is a sleeper sofa version of the original "Mammals (at home)". 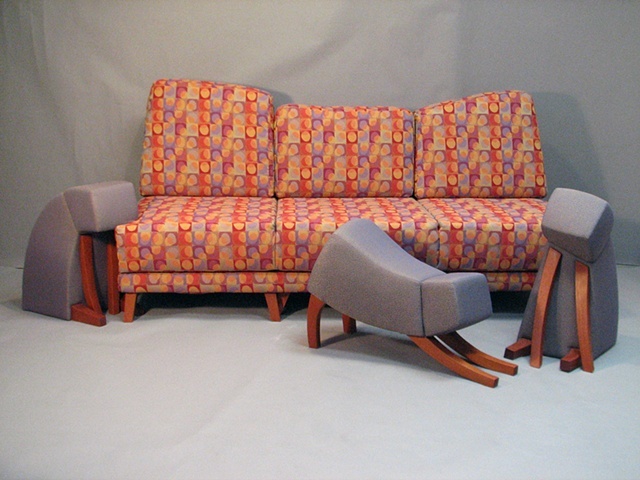 The loose back cushions are very thick in order to shorten the seating, which would otherwise be too deep. The three ottomans are Woolsey (resting his chin on the couch and acting as an armrest), Pablo (stretching and acting as a footstool), and Adeline (sitting up and acting as a perch).